The curtain has fallen on the Spring/Summer 2019 shows and we’re feeling reflective. Another season meant another plethora of interesting hair and beauty looks that we’re visually mood-boarding into our minds and using as inspiration in the salon. 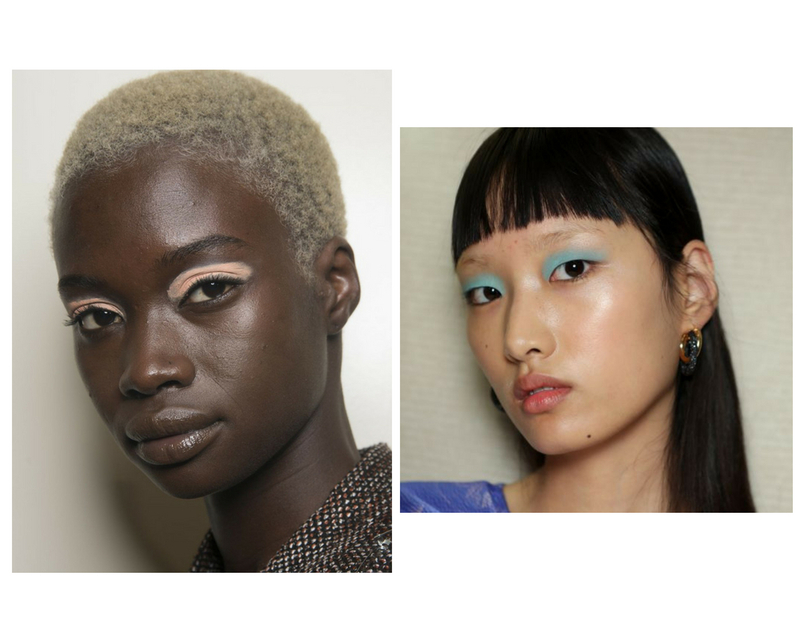 Fashion month is a great time of year to get acquainted with what’s coming up - whether that’s a return to pastel wash hair or a refocus on bold colours, we’re taking note. 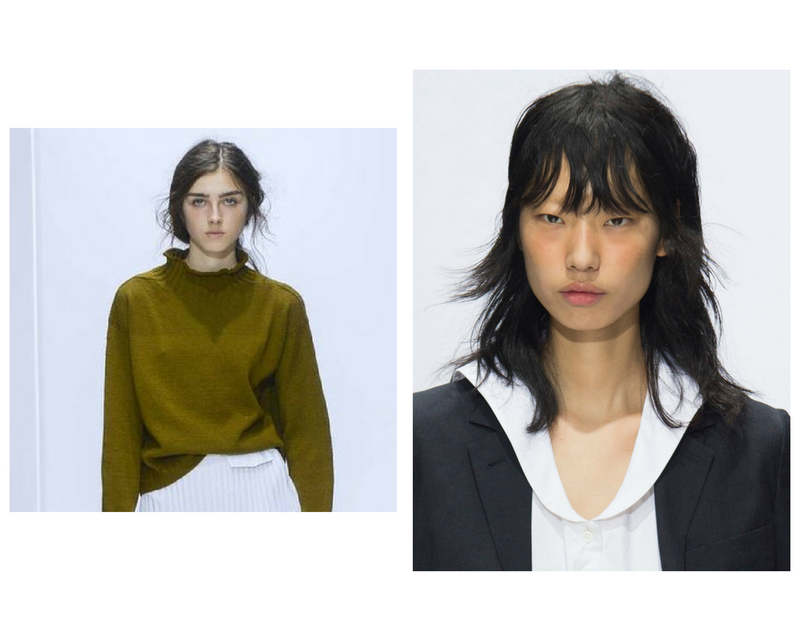 With that in mind, we’ve gathered together some of our favourite hair and beauty looks from all four cities in an easy-to-digest format, so you too can get inspired after another diverse and exciting season. 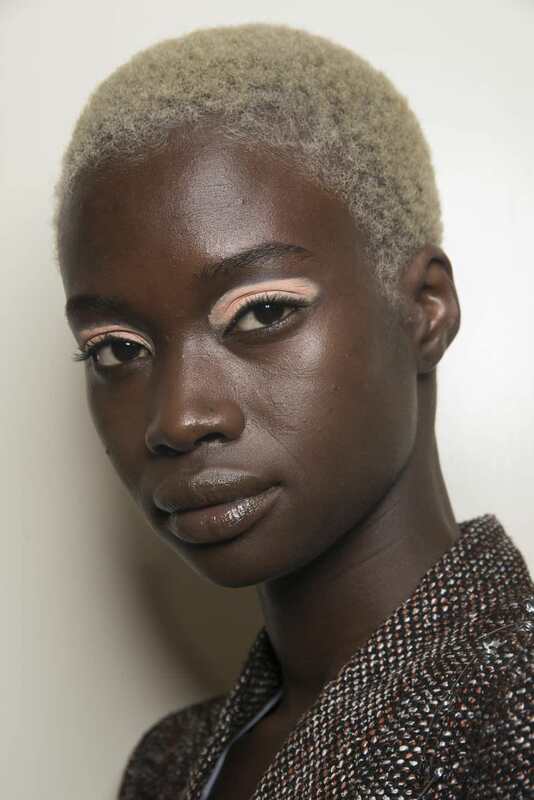 First up, and something of a speciality of ours, are the pastel rinses seen at Marc Jacobs. 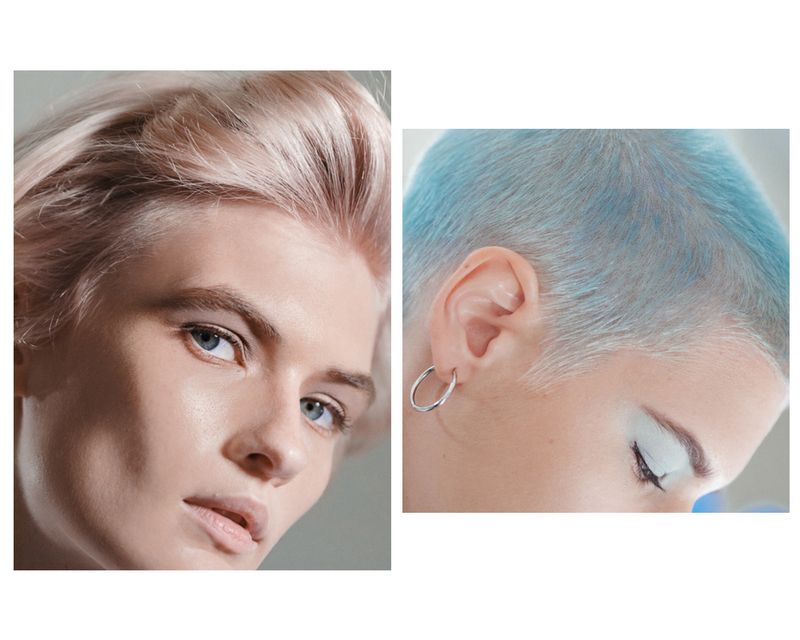 From that perfect soft shade of peachy pink to candy blue, we’ve been mixing temporary colours similar to these over full head lightenings since we opened the salon. Hair stylists Guido and Josh Wood had over 35 models dye their hair for this show - the biggest colour project they’ve ever worked on for the catwalk. The designers matched colour swatches to the hair colour to create the grown-up pastels that make up the end results. Some even agreed to have buzzcuts shaved and sculpted beehives also made an appearance - another ode to the throwback nature of the show. We love it paired with a tonal eyeshadow and beautifully fresh, luminous skin. 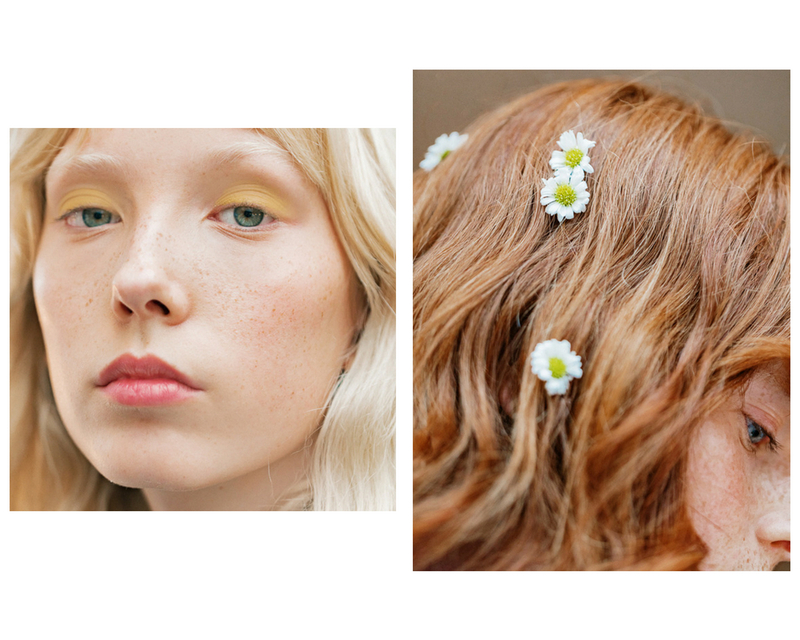 Combining two of our favourites, fashion and flowers, was the daisy dotted hair at Mansur Gavriel. Combined with a wash of yellow eyeshadow, the natural lashes and visible freckles make for the perfect ethereal spring look. The clean skin and naturally textured hair of the show was like a fresh gulp of water in a season strewn with the usual excesses of fashion week. Everything about the Gavriel show gave us a spring in our step - a much welcome addition and an end-of-summer hurrah. As much as we love timeless, classic cuts here at Glasshouse, we do have a penchant for strong retro throwback styles. 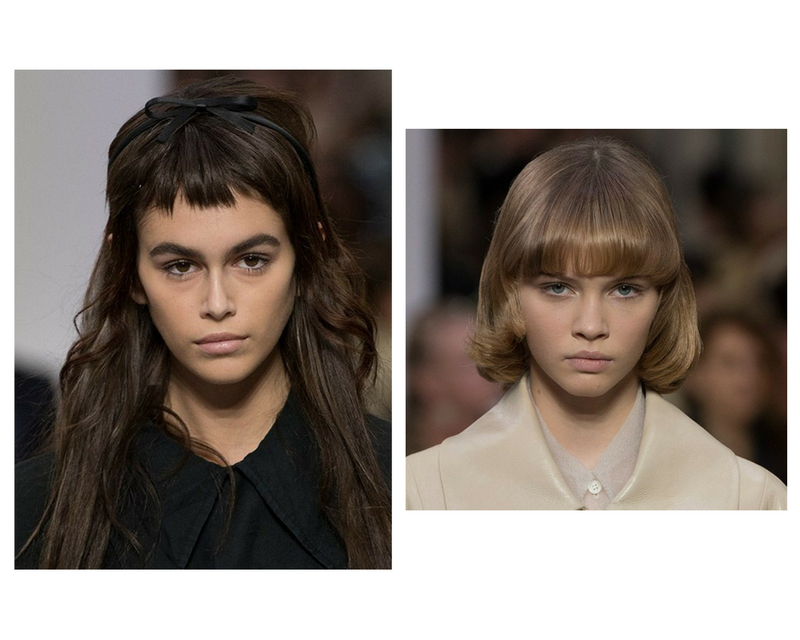 Enter Miu Miu, who sent the models down the runway with choppy mini fringes and alice bands, along with a gently curved pageboy bob. We’ve sung the praises of the much-maligned pageboy before and it’s always refreshing to see it make a reappearance on the catwalk in all of its full-fringed 1970s glory. 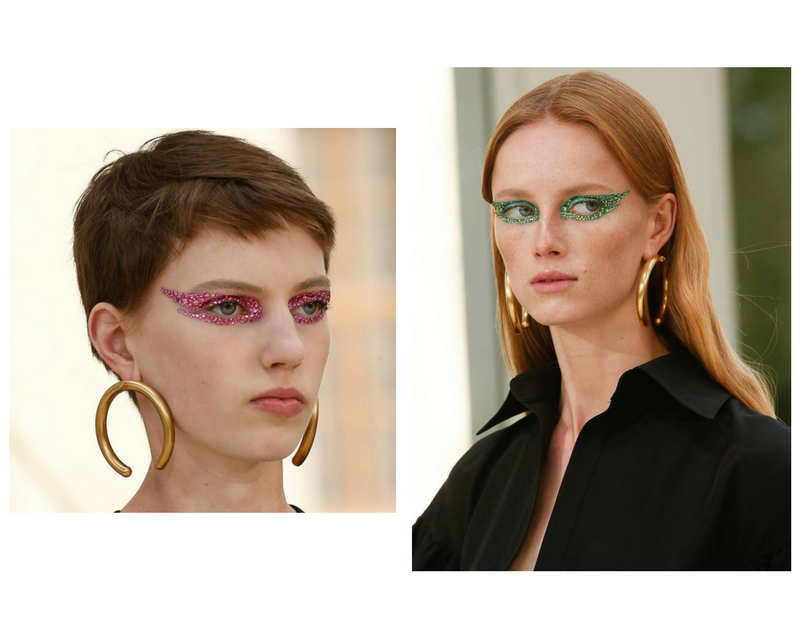 Turning our attention back to beauty, Valentino combined minimal, sleek looks and brushed gold jewellery with maximalist glitter eye make up. Highly saturated tones of green and pink were applied in a dramatic winged shape all around the eye, finished with monochromatic dense glitter. Once again, skin and lips were left natural to both emphasise and soften the bold make up. With a Bowie-esque nod to the 80’s, this was a look for those who dared and a disco ball injection of glam rock that packed a punch. Next up, we were loving the painterly eye make up at Peter Pilotto. Chalky pigments of bronze, peach or mint were smudged onto models eyelids dependant on their skin tone in a flash of colour. Key to this look is not blending brush marks or rounding edges and taking the colour higher than the lid for maximum impact. The sheer, almost watercolour-like flush of colour kept things ethereal - making an impact without appearing over-the-top. You can always trust Margaret Howell to deliver classic, made-for-the-outdoors looks, and this season was no exception. Low centre parted pony tails were swept back, loose and wispy, in contrast to the neat buns that have dominated the catwalks previously. We also loved the mullet style complete with long choppy fringe and barely there make up to soften and counterbalance the bold cut. 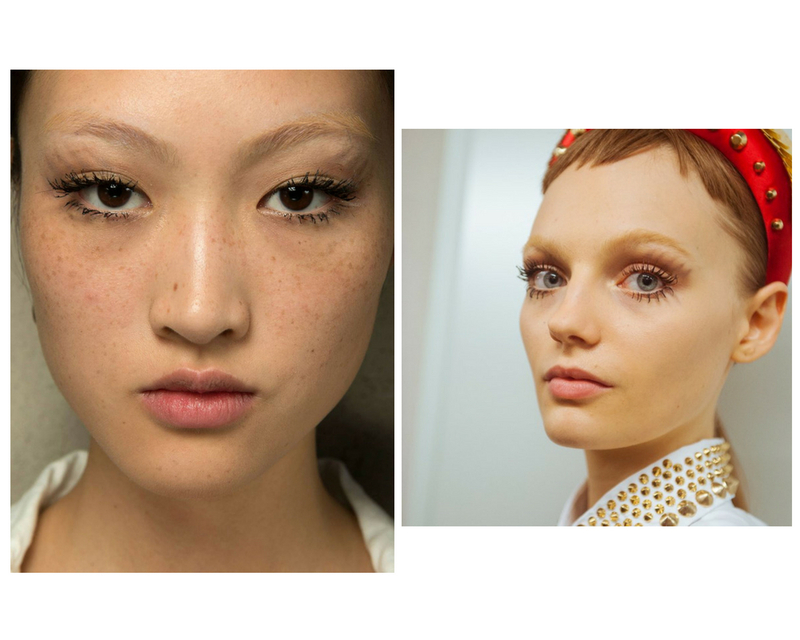 It’s no secret that we are a fan of the clumpy lash, so Prada’s ultra thick, doll-like mascara was a look we were very much on board with. Heavily applied to both top and bottom eyelashes and emphasised further with feathered strokes of powder eyeshadow, the look had a warped 60s feel. Bleached brows and ultra short fringes heightened the time warp appeal creating a modern day Mia Farrow in Rosemary’s Baby. 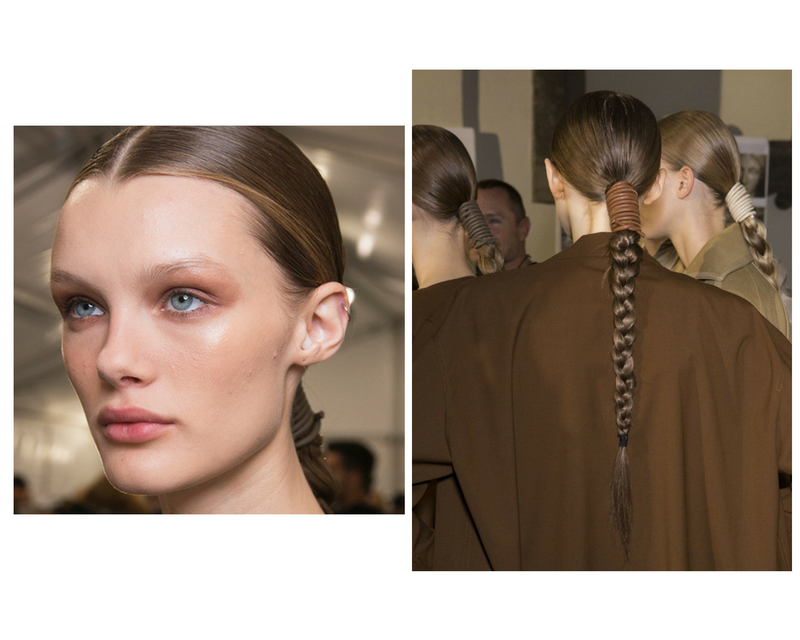 Long leather cords were used to secure low sleek plaits at MaxMara, in an array of neutral and chocolate browns. Hair was neatly centre parted and slicked back away from models faces to create a chic and sophisticated look paired perfectly with a muted smoky brown eyeshadow and natural lashes. There’s something very satisfying about the unashamedly brown colour palette of this collection - why shy away from brown when you can embrace every single shade of it with aplomb? So, there we have it - fashion month, rounded up and rounded off, all set for next season. We’re leaving armed with a whole host of hair and beauty inspiration to start channeling - until next time. 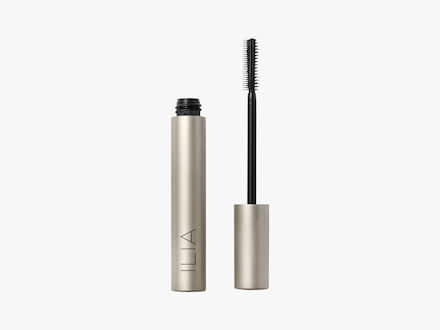 Get the clumpy lashes of your dreams with a little help from Ilia’s newest mascara - Limitless Lash. With an easy to wiggle brush and a no flake formula for thick lashes. For a semi-permanent colour change-up, this range by Organic Colour Systems will do the trick. Mix a pump of red with the Power Build Treatment to pastelise it and leave it do its baby pink magic. 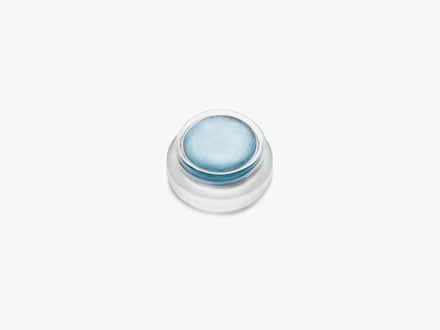 Recreate the wash of eye colour seen on the catwalks with RMS Beauty’s range of Eye Polishes. This particular shade of 90s metallic blue is eye-catching and retro all in one.